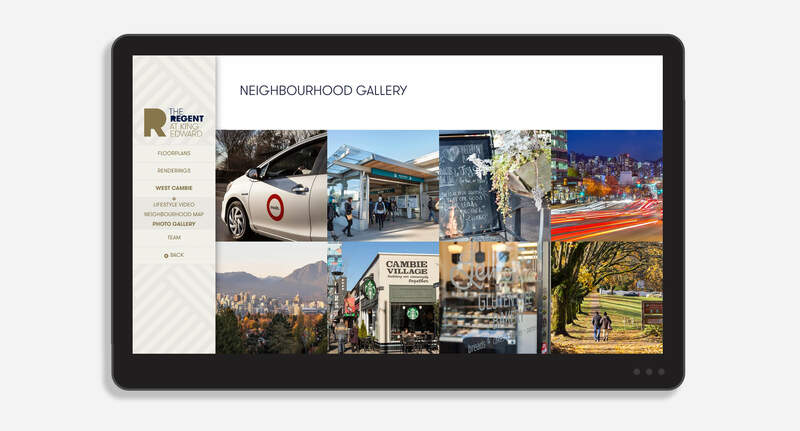 DCD designed and developed a touchscreen application for The Regent at King Edward project. The touchscreen design was seamlessly integrated into a sales studio environment as a result of close collaboration with the client, interior designer, print and construction team. 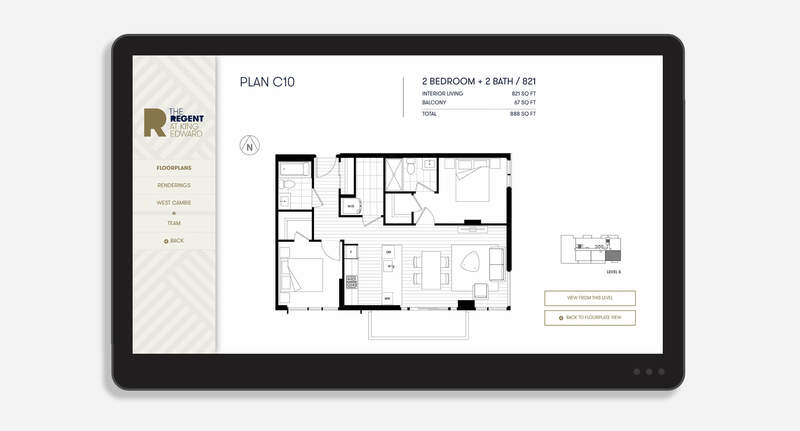 Touchscreen applications are becoming increasingly popular in various industry sectors, including real estate development. We brought our brand creative together with stunning photography, engaging lifestyle videos, photo realistic 3D architectural renderings, and digital special effects to tell the compelling brand story of The Regent – generating the visual experiences before the development project was even built.